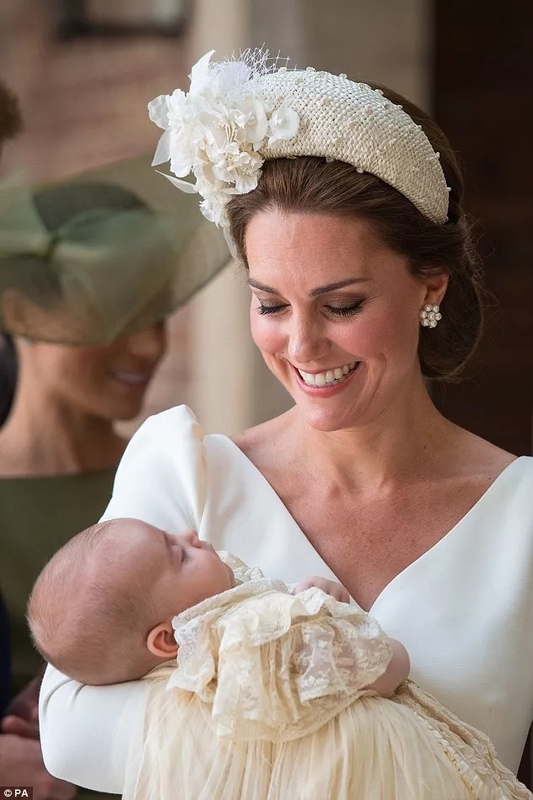 Prince Louis, the third child of Britain's Prince William and wife Kate, has been christened at a small, private ceremony overseen by the Archbishop of Canterbury on Monday, without the Queen and Duke of Edinburgh attending. 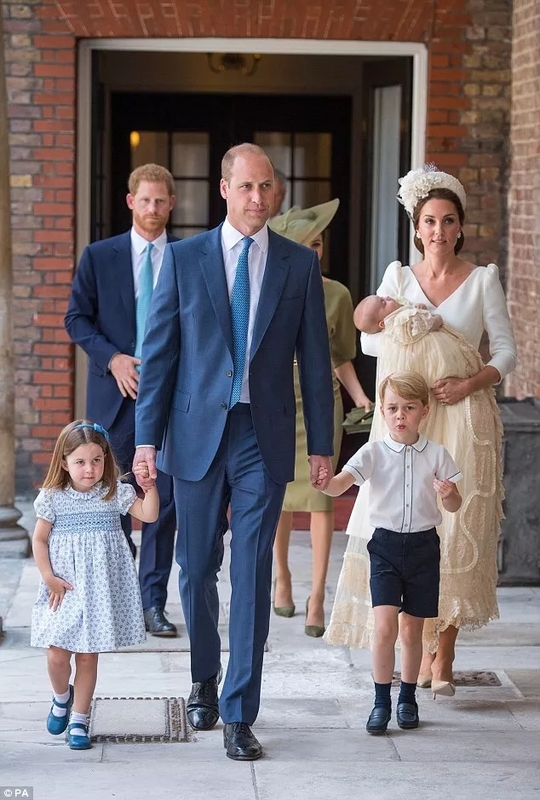 Louis, the fifth in line to the British throne who was born on April 23, was christened at The Chapel Royal of St James's Palace in central London. 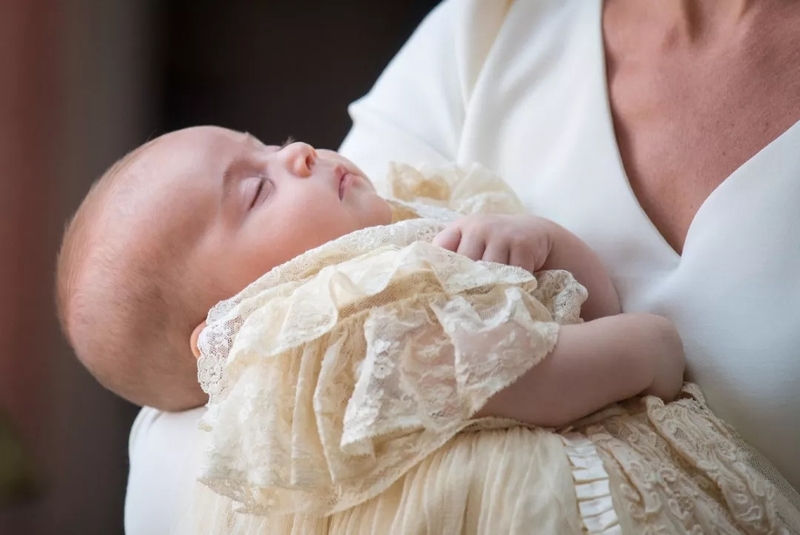 Eleven-week-old Louis’s long, dark eyelashes could be seen as he was photographed sleeping in his mother’s arms ahead of the service. The baby prince has also grown a touch of fine hair over his head, and has a cute button nose. The robe is a replica of the intricate lace and satin dress made for Queen Victoria's eldest daughter in 1841. 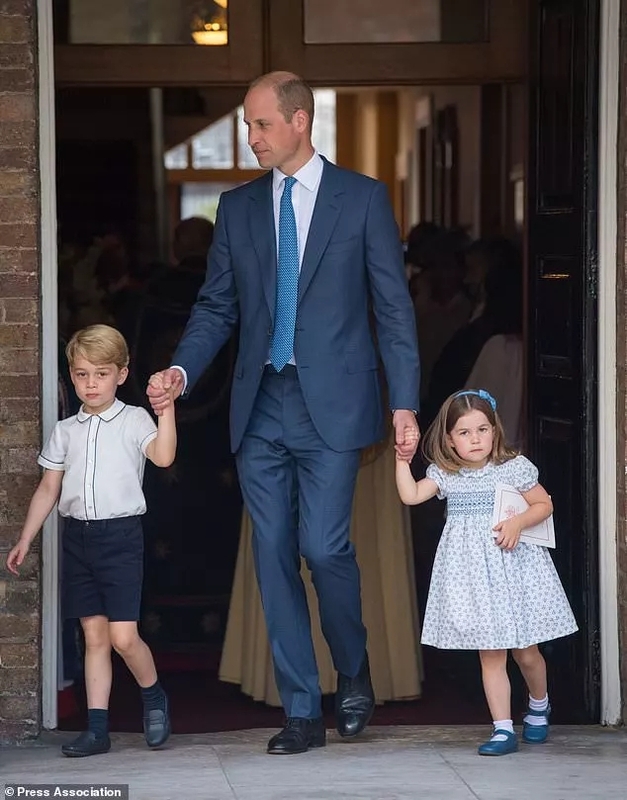 Eldest child George, four, looked adorable in a nautical style ensemble consisting of navy shorts and a cream shirt with a peter pan collar with sky blue piping. 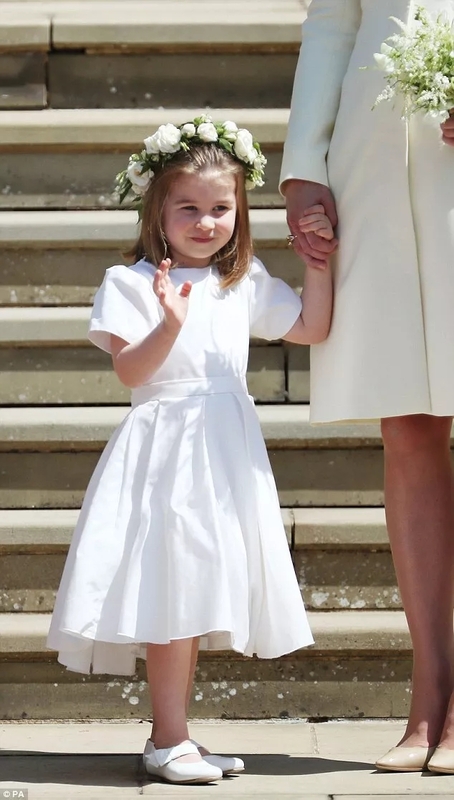 Meanwhile Charlotte was charming in a floral dress from with puffed sleeves. 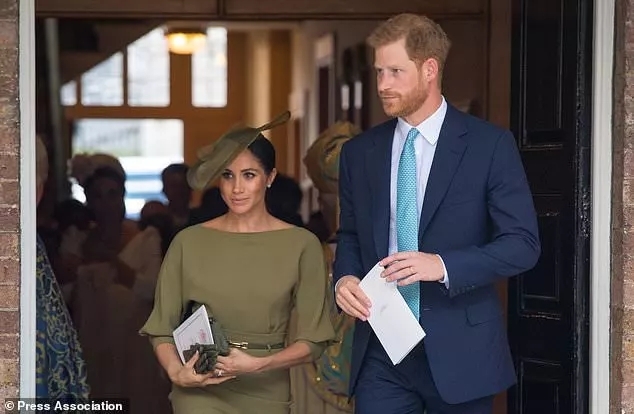 Meghan looked stylish in an olive-green Ralph Lauren outfit and Stephen Jones hat, and held hands with her husband of less than two months as they arrived. The monarch was due to return to London on Monday ahead of a busy schedule of events including a meeting with US President Donald Trump on Friday at her Windsor Castle home.